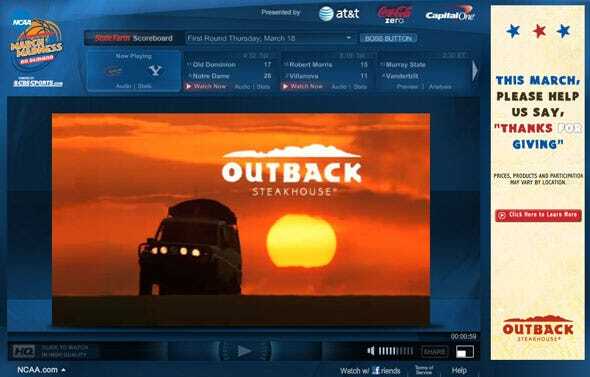 CBS’s NCAA March Madness on Demand player looks great, as usual. And this year, the team has gotten smart about forcing users to watch ads. If the game you’re watching is in a commercial break, you can’t switch to another game. Brilliant and annoying. But when you have a monopoly on content, you can try anything.